The standard warranty covers hardware defects only and does not provide any coverage for accidental damage. Technical support provides help and technical assistance for preinstalled software for the first 90 days after purchase. If you’re not sure if your Surface device under warranty or not, Microsoft offers several methods for you to get that information. 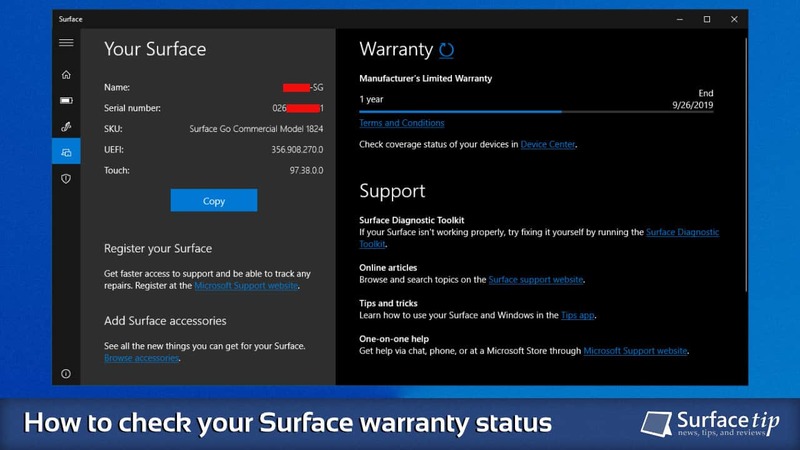 Among those, I want to show you a new quick and easy way to check the warranty status of your Surface device by using the Surface app. In early 2019, Microsoft has updated the Surface app to include a new feature that allows you to check Surface’s warranty status right from within the app without taking time to sign in your Microsoft account and register your device. Click the Search button next to your profile photo, type “Surface”, and hit Enter. 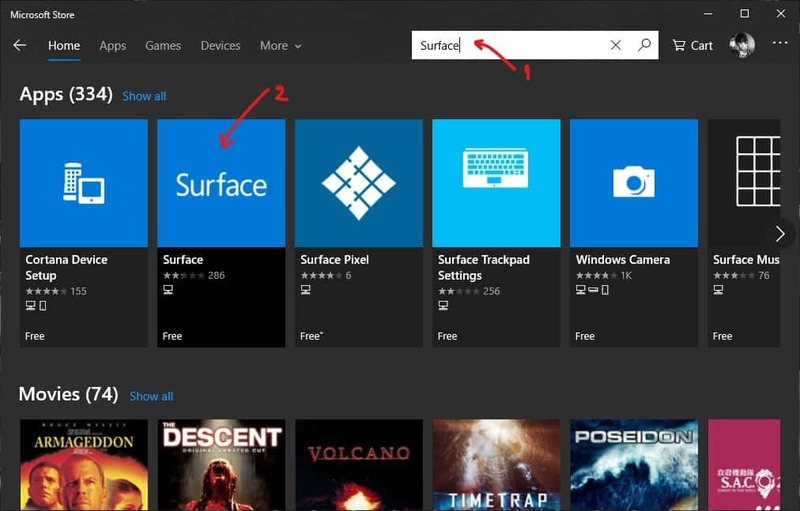 Now scroll to Apps section and looking for an app called “Surface“. Click to open it. 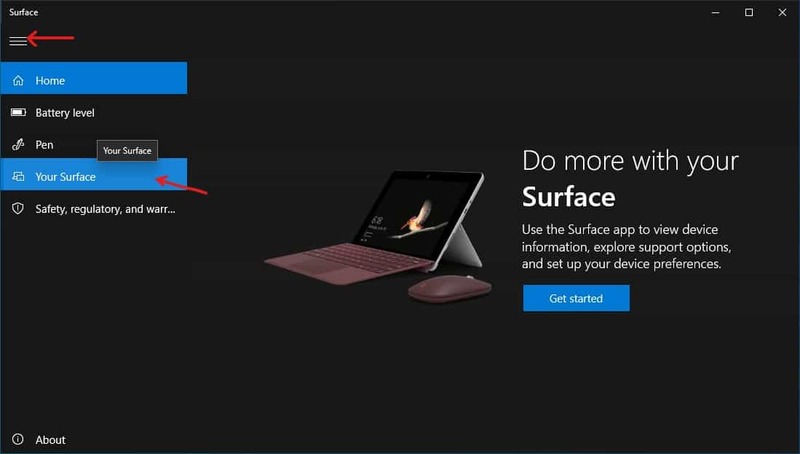 Click Get to start downloading and installing the app to your Surface. Wait until it finishes and you can find the app from the start menu. Click the hamburger menu and go to Your Surface section. 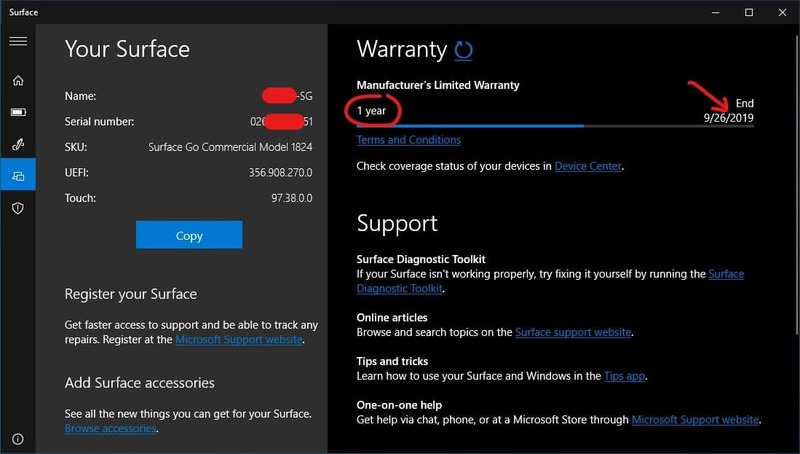 On the right page, you will see your Surface’s warranty duration and the expiration date. Now you have your Surface warranty information on hand. if your device is under warranty you can start an online service order by going to Device Center page or you can go to your local Microsoft Store for an in-store checking. If you have any questions or problems with the procedures detailed in this tutorial, please leave a comment below. Note If you own many Surface devices, and you can register all those devices and get all warranty status right from a single place on Microsoft Device Center portal page here. We appreciate hearing your thoughts, questions, and ideas about “How to check your Surface warranty status – the quick and easy way”. Please post respectful comments and on topic. We will be replying back to you as soon as possible. Share your idea about "How to check your Surface warranty status – the quick and easy way".